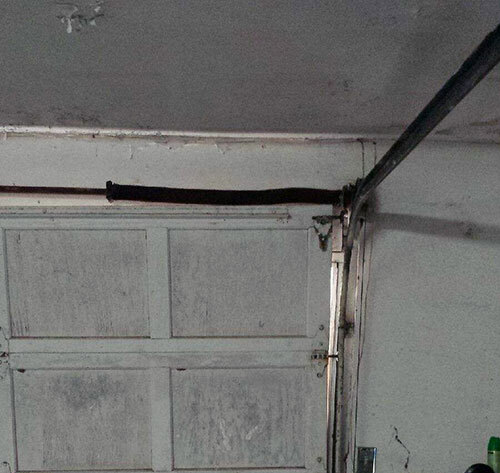 The springs are used to balance out the weight of the garage door. They are often unique in brand as well as the way they work and necessitate extra attention during replacement. There are several types of springs available on the current US market. Most common of those are extension and torsion springs. They give much more room for maneuverability when dealing with the need for fixes since they are not copyrighted by any particular company. Besides, they have the advantage of being generally cheaper than other alternatives. Springs are the most dangerous part of any garage. They carry the same force as the entire door, so they need to be handled with extreme care. Sectional garage door extension springs have four major characteristics: type of end, diameter, wire size and length. All of them determine what sort of mechanism they can fit into and how heavy the door they can balance. It can therefore be understood that the material that the spring is made from also plays a major part, as the weight and flexibility depend on it. Does this spring fit in my door? Each garage door has its own unique measurements because it needs to fit in the architecture of the house. This needs to be taken into consideration when designing the springs. Similarly, when replacing the springs the owner might have to provide some of the measurements of the door. It can be quite tricky calculating the weight of the door or taking the broken spring back to its original position to check its length. This is why it is strongly advised to ask for specialist help and stay safe.